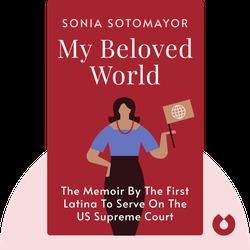 My Beloved World (2013) is the memoir of Sonia Sotomayor, the third woman, and first Latina ever, to serve on the US Supreme Court. From her childhood hardships and her unlikely path to Princeton and Yale Law School to her first appointment as a judge, Sotomayor’s story is one of resilience, friendship and lifelong learning. Sonia Sotomayor is a US Supreme Court Justice. She is the first Hispanic and the third woman to serve on the Court. 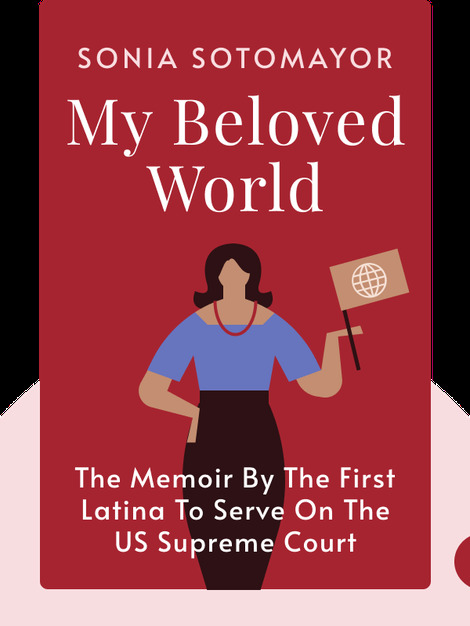 After growing up in New York City’s housing projects to non-English speaking Puerto Rican parents, she earned scholarships to Princeton and Yale Law School and eventually fulfilled her lifelong dream of becoming a judge.